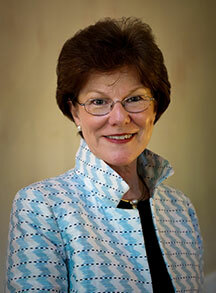 President Nancy Oliver Gray debunks three myths about a liberal arts education. Like many of you, I am dismayed by the recent onslaught of media reports questioning the value of a liberal arts education. Given this attack, it is more important than ever for those of us who have benefited from our liberal arts education to speak up as well-informed advocates. In this issue, we are focusing on those benefits to help equip you to make the case. Consider these three myths about liberal arts education, followed by an effort to set the record straight. Myth #1: A liberal arts education is too expensive. What liberal arts colleges like Hollins do—small classes; personal student interaction with full-time professors; outstanding opportunities to complete internships, study abroad, and develop leadership skills—is expensive. However, private colleges have made a substantial commitment to financial aid to make it possible for talented students whose families have limited ability to pay for their education to take advantage of educational opportunities. Given the commitment we have made to financial aid, the net cost of attendance at our institutions is not much more expensive than attending public institutions. For example, although our stated comprehensive fee at Hollins next year will be approximately $46,000 (including tuition, room, and board), the average student pays only $21,500. Many families can afford private, liberal arts education, and promising students should not be denied this opportunity. Myth #2: A liberal arts graduate can’t get a job. The facts may surprise you. For example, at Hollins in recent years, 97 percent of our graduates have either been employed (approximately two-thirds) or gone on to graduate or professional school (approximately one-third) within a year of graduation. In 2013, the Association of American Colleges and Universities (AAC&U) commissioned a survey of employers regarding what they are seeking in job candidates. Ninety-three percent of the respondents agreed that “a candidate’s demonstrated capacity to think critically, communicate clearly, and solve complex problems is more important than their undergraduate major.” These are the very skills, regardless of undergraduate major, gained from a liberal arts education. While starting salaries for liberal arts graduates may be lower than those from other programs, over a lifetime, these earnings catch up. In an era where our students will be working in jobs that do not now exist, using technology that has yet to be invented, in an environment where flexibility and creativity are required, the liberal arts education is the best preparation. In many ways, the liberal arts education is substantially more “practical” than preparation in a specific skill that may become obsolete after graduation. Myth #3: A liberal arts education is a poor investment. Despite journalists’ reports about student debt, according to the Council of Independent Colleges (CIC), 25 percent of students graduate from small private liberal arts colleges with no debt at all. The remainder graduate with an average debt of $19,500, less than the typical cost of a new car. Consumers do not worry about borrowing to buy a car that depreciates the minute they drive it off the lot. On the other hand, the investment in a college degree appreciates over a lifetime. The U.S. Census Bureau indicates that the lifetime earnings for a college graduate exceed those of a nongraduate by $1 million. As confirmed in the College Board report Education Pays 2013, “The financial return associated with college credentials and the gaps in earnings by education level have increased over time.” A college education is the best long-term investment one can make to increase lifetime earning potential. In addition to these arguments, our national democracy depends on a well-educated citizenry—people who can seek out, analyze, and synthesize information; people who can think for themselves; people who can exchange points of view with civility. These concepts are foundational to our democracy. Please join us in making the case for liberal arts education.